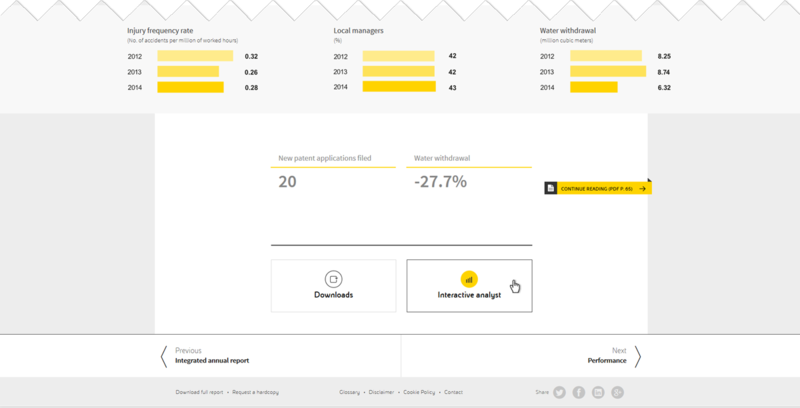 eni annual report 2014 – Cascading waterfall approach - nexxar lab. This year’s eni online annual report is pretty different from the previous years. Keep reading to find out why. For the 2014 eni annual report our client’s desire was to provide only introductory information online and link users to the PDF report in order to continue reading. 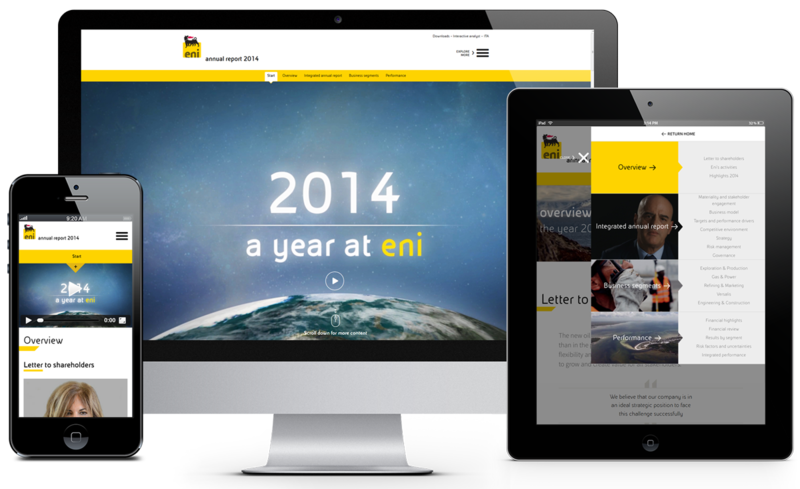 The resulting online report summarises eni’s year in four main chapters and surprises users with a completely new appearance (compared to the annual report 2013). 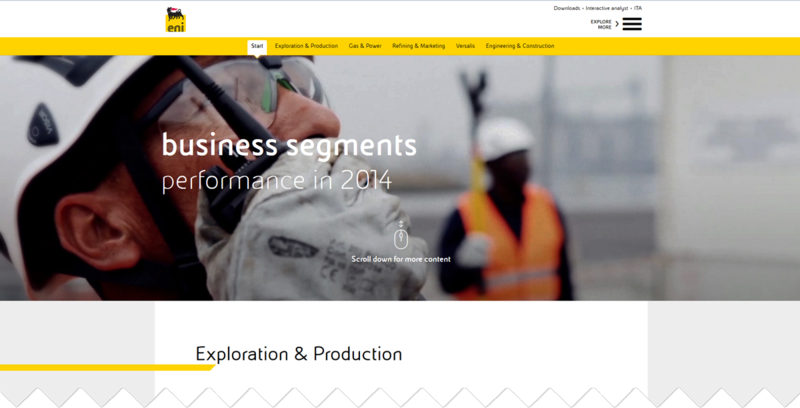 Introducing a completely new concept and responsive screen design, the eni annual report 2014 now consists of a waterfall homepage and four waterfall content pages. With screen sizes constantly increasing, each page of the report is shaped to make full use of and automatically adapt to the available screen space. Visual effects are achieved with the use of videos and header images that go over the full width of the page, as well as through the playful switch between different content widths when it comes to text and graphics. Furthermore, the report includes an on-page navigation pointing to the referring section of a page, and a mobile-friendly menu. Small images in the menu reflect the header images at the top of each content page and provide a fast orientation to the user. Additionally the report includes a Download section and a newly designed Interactive analyst.